The Project: A new online network for parents, teachers and others interested in science and technology for primary school children. The aim is to see more parents acting as embedded STEM Ambassadors in primary schools, supporting teachers, sharing their love of science and tech, and gaining useful skills and experience, especially if they are looking to go back to work or progress in their current role. School Gate SET received 3 months IET / IMechE EEGS funding and is now funded by a Royal Academy of Engineering Ingenious grant. The Project: For over 25 years, WISE – Women into Science, Engineering and Construction – has worked with industry and education to inspire girls and attract them into Science, Technology, Engineering and Mathematics (STEM) studies and careers. Having an 11 year old daughter myself, I know there are many influences on young girls, and there is still work to do to ensure all girls are able to make informed study and career choices. The Project: A resource pack and app based on a revolutionary approach to engaging girls with careers in Science, Technology, Engineering and Maths (STEM). People Like Me uses the natural tendency of teenage girls to articulate their self-identity using adjectives, to show them that people like them are happy and successful working in careers in STEM. 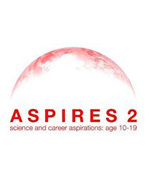 The Project:The second phase of a ten-year longitudinal research project studying young people’s science and career aspirations based at King’s College London and funded by the ESRC. The Project: The Women’s Engineering Society is a charity and a professional network of women engineers, scientists and technologists offering inspiration, support and professional development. 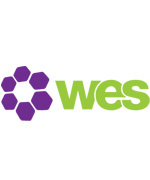 Working in partnership, WES campaigns to encourage women to participate and achieve as engineers, scientists and as leaders. The Project: Over 15,000 people are registered as Ambassadors, and volunteer to enthuse young people about STEM. We do this through a variety of activities such as clubs, careers talks, helping with school events, lessons and competitions, etc. The Role: STEM Ambassador in Hertfordshire including delivering the Primary K’Nex Challenge and previously running a primary after-school STEM club. The Project: I took my MSc in Electronic Communication Systems at the University of Hertfordshire as a part time student from 1999 – 2004, and my school based teacher training was also through the university. Since then I have been actively involved with the university in several ways. I was delighted to present a promotional video for a really worthwhile research project at the university, called KASPAR. Bellingham Court, containing 75 student flats, was opened in 2014. The Role: University Court, Development Committee and President of Alumni Association. The Project: Young Engineers runs a range of national competitions and a national club network for schools and colleges. I’ve been involved for over 20 years, and I am great fan of what the organisation offers and achieves.